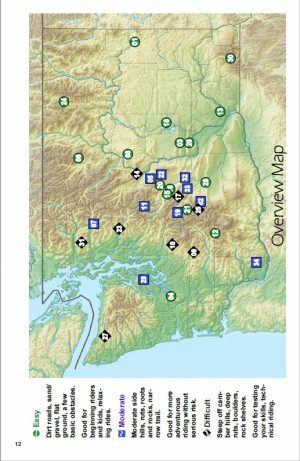 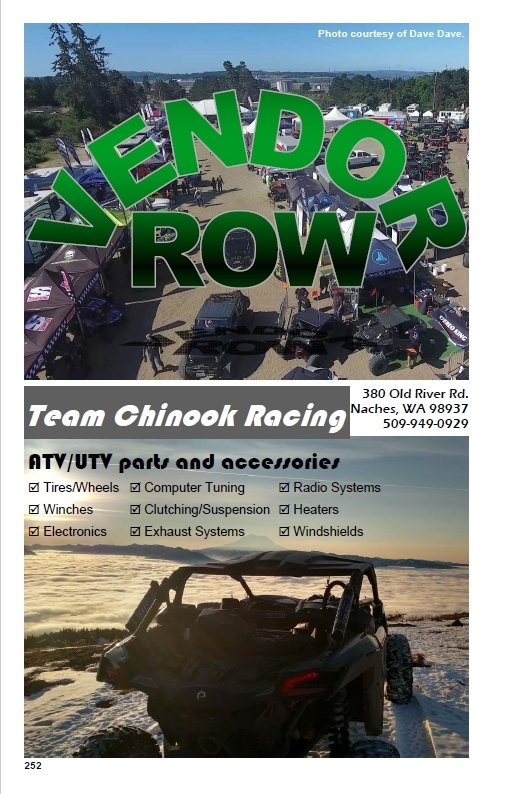 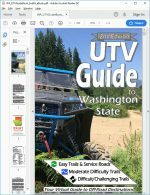 UTV Guide to Washington State (Printed Book) + eBook Bundle! 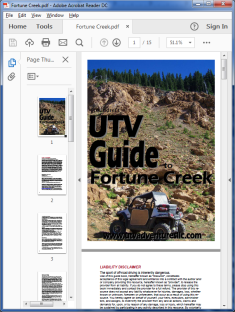 Buy the printed book at regular price, get the eBook for half price! 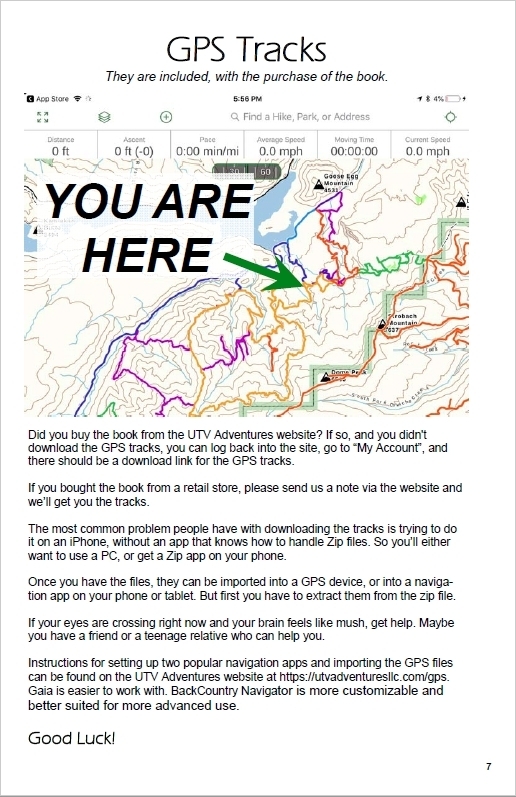 PDF file and GPS tracks can be downloaded once the order is complete. The 2nd Edition includes 7 additional riding areas, updated maps indicating when two riding areas intersect, and Vendor Row section. All in all, an additional 40 more pages of content. 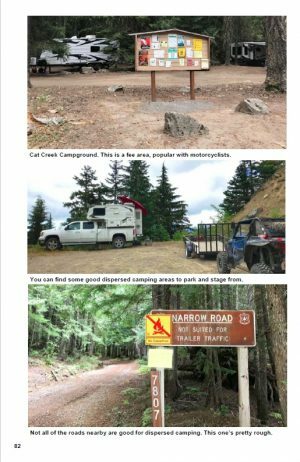 There is usually a considerable amount of effort and doubt involved in learning about new riding areas. Information about each one must be extracted from various sources including government websites, internet forums, public rides hosted by local clubs, etc. 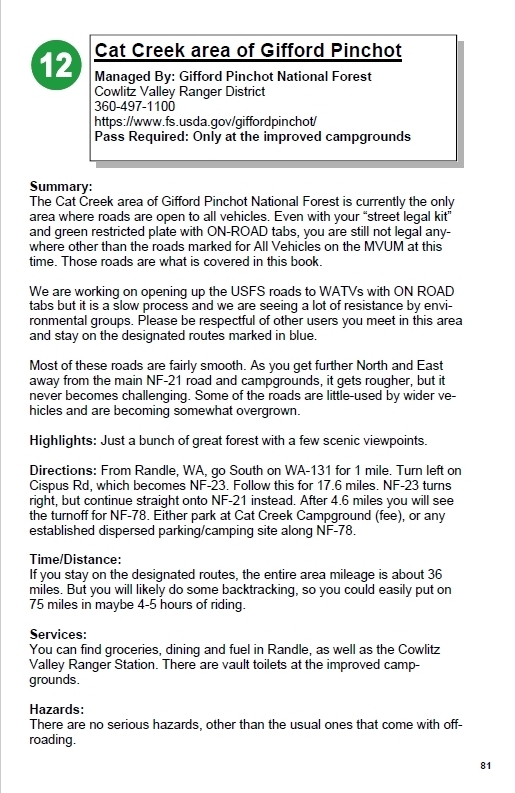 This information comes in many different formats, and with differing levels of completeness, accuracy, and legibility. 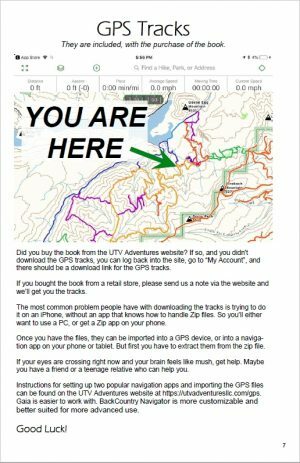 This book endeavors to be your virtual guide. 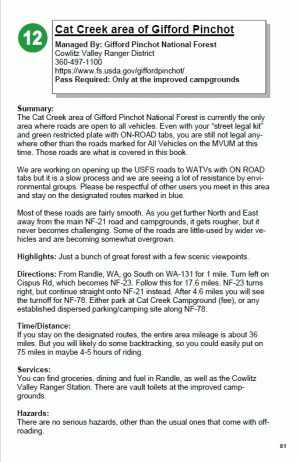 It may not be quite the same as a warm body leading the way down the trail, but it will provide the same basic information that such a guide would – and it will always be ready to go riding with you. 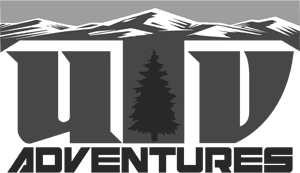 The book is coil-bound, so it easily lays flat on a table, or you can fold it open for easy viewing. 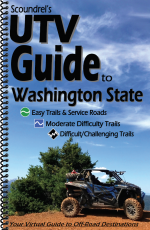 This book is not a comprehensive list of all places where it is possible to ride, nor does it attempt to cover all available trails and roads within a given riding area. 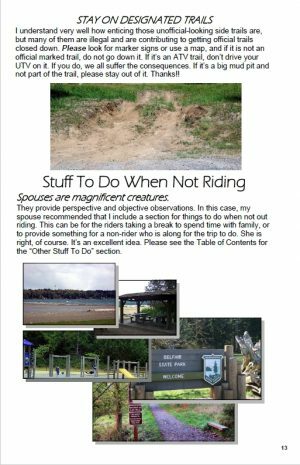 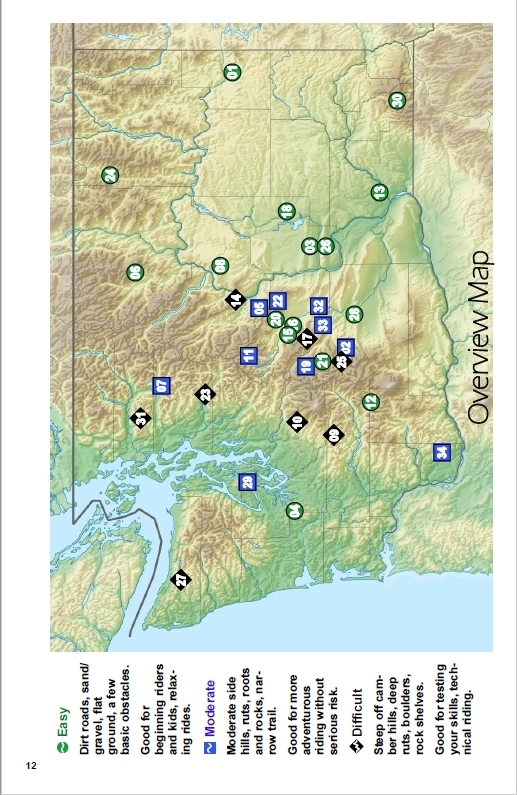 Instead, this book provides a set of riding areas I find enjoyable and worth visiting. 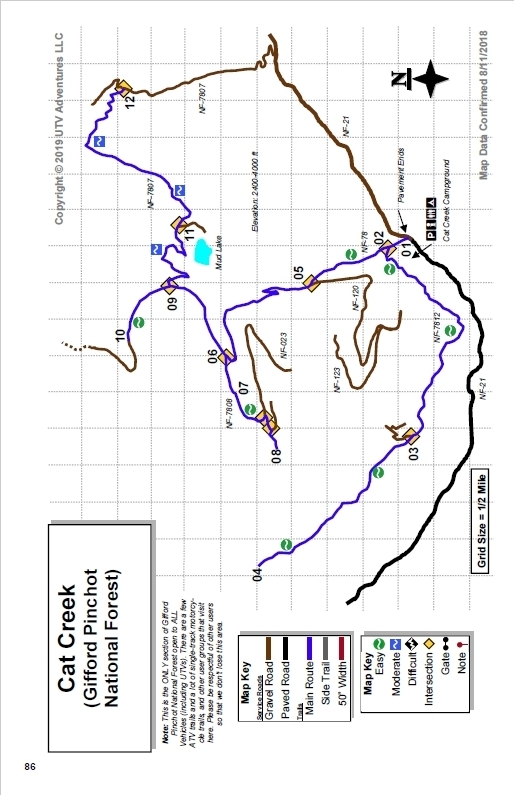 Within each riding area I have indicated one or more loops and/or a series of trails which have found enjoyable to ride on. 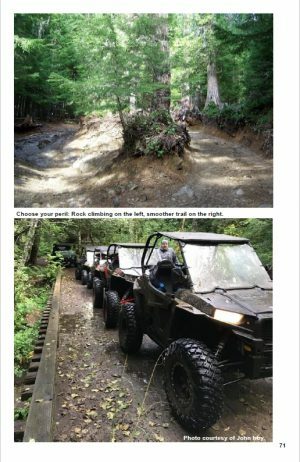 In most cases there are additional side trails and roads to ride on. 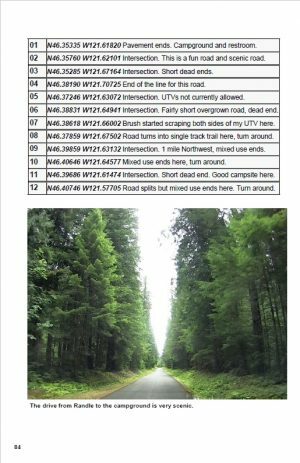 This leaves you free to continue exploring and enjoying an area on your own, above and beyond what is found in this book. 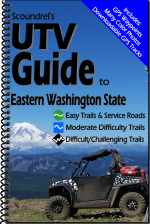 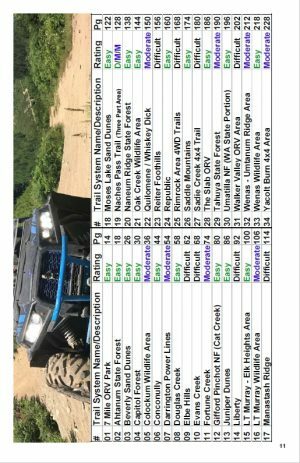 This book is 220 pages, containing 27 UTV-friendly ORV riding areas, including parking information, color photos, maps, waypoints, turn-by-turn directions on and off the trail, highlights, and hazards. The book also includes some non-ORV things to do for family members, or when you need a break. All together, it is a recipe for unforgettable adventures!